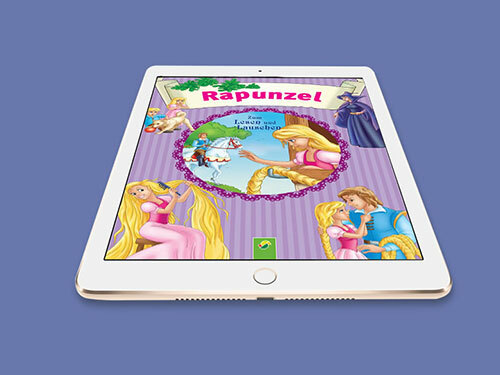 For our esteemed client Vemag, we developed various ePubs for kids. These fairytales were developed in a simple fixed layout structure. A total of five books were converted into ePubs, of which four were in German and one was in German & Spanish. Following were the names of the German ePubs,'Der Wolf und die sieben', 'Dornröschen', 'Aladin und die Wunderlampe' and 'Rapunzel'. 'La gran escuela de futból' (Spanish); 'Die große Fußballschule' (German) were the same books in two different languages created. These ePubs being simple fixed layout in nature had the feature of audio which could be enabled by just a click. Another amazing feature of these ePubs was that video clips were incorporated to create a visual impact and hence, enabled better understanding. Simple, interactive and easy to understand ePubs delivered!